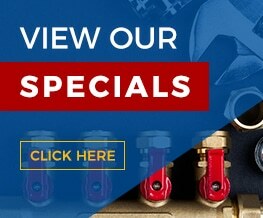 Are you in need of industrial hoses in Riverside County? Then you are in need of a call or visit to ASJ Industrial Hose & Fittings. We have more than 35 years of experience in this industry, which allows us to bring you the best possible selection, advanced knowledge of the current market offerings, and personalized attention as you seek out the right hose for your needs. No matter what you’re looking for, whether you know the exact brand or you need assistance finding the right choice, we can help. We are proud to offer only the highest quality brands, but that list is over a dozen companies long. We offer the full-line of Continental ContiTech rubber hoses, but we are also an authorized dealer for brands such as BOLT, BrakeQuit, Dixon, NEBO Tools, Band-It, and many more. We can help you find industrial hoses in Riverside County CA for any industry, including air, fire hose, hydraulic, water, vactor-style, petroleum, steam, material handling, oil, marine exhaust, chemical, wine, food, reel craft, pellet transfer, beer, pressure washer – and many other options. If you don’t see what you need listed, just call us at (951) 735-1351 to find out what your options are. 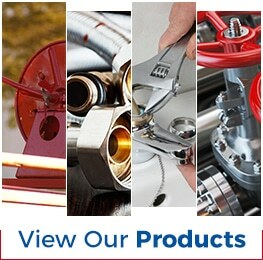 Should we be your top choice for industrial hoses in Riverside County CA? Another reason to work with ASJ Industrial Hose & Fittings is the fact that we are a family owned and operated company. We have been working in this industry for upwards of 35 years. We began out of a garage but now have a 24,000-square foot facility in Corona CA. While this growth may be impressive, we have never forgotten our roots or the importance of providing exceptional assistance to our customers.